As a buyer, an exceptional property agent will only show you properties that best match your requirements. If you made it known that you have a toddler and yet the agent shows you a property that has no child-safety features, you know he/she is not paying attention to your needs. Agents like these are likely to recommend properties with the best commissions rather than what is most appropriate. It can be stressful dealing with an agent who is a poor communicator. You may feel as though you are doing more work than the agent with the numbers of calls you are making to them. It is crucial for agents to constantly keep in contact with their clients and customers. Seemingly insignificant information to an experienced agent may be highly important to clients who are new to the real estate scene. Hence, good agents will constantly keep you updated, rather than have you call them all the time. Proper agents are serious about disclosure. An agent is required to reveal any potential conflicts of interest and every source of referral fee/commission. Additionally, reliable agents inform you about commissions even before you ask. However, some estate agents try to secure your deal by promising a low commission rate or high valuation for your property. Too high a valuation is impractical, it can cost you an opportunity to sell at a decent price while you wait out. In promising a low commission rate, your property agent is likely to list your property at an inexpensive price in order to obtain a fast deal. Good agents need to provide genuine valuations instead of deceiving their clients. To test if an agent is a good one, ask questions you already know the answers to. An excellent agent will usually know the answer; if they do not, they will be sure to return with a right one. Additionally, good agents are kept up to date with the latest market trends and movements. They are also aware of upcoming developments in the area your property is situated in. As good agents are knowledgeable, they rarely make sweeping statements when addressing your concerns; explanations are usually backed up with statistics. As the saying goes, “If you want something done, ask a busy person to do it”. Good agents are constantly on the ball. They are proactively calling prospective buyers, communicating with existing customers and regularly chasing new leads. As the real estate market is time sensitive, a laid-back property agent may miss the opportunity to make the most out of a deal. However, no matter how much they have on their plate, they will be sure to return a miss call. Lastly, competent agents usually have effective marketing strategies. If an agent is employing similar marketing strategies as the rest of the other property agents (like distributing flyers in letter boxes), chances are feasible results will not be produced. You should also sneak a peek at an agent’s sales materials. Did she carefully plan her listings or is it merely a plain description of your property? While a property agent is employed to help you in your sale/purchase, you should also familiarise yourself with the industry terminology. 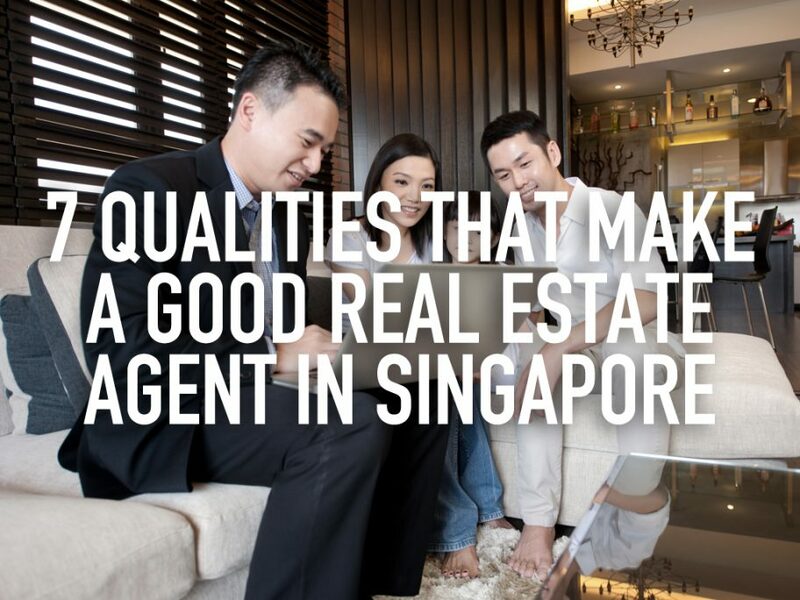 Moreover, apart from these qualities to look for in an agent, you should first check if the property agent is registered with the CEA and have a brief understanding of what an agent is supposed to do for you. The buying and selling of a property should be an exciting journey, and should not feel like a chore as long as you have a reliable real estate agent you can depend on. Be sure to bear in mind these 7 points while you’re in the process of finding someone you can work with! Armed with a local degree with a major in Economics, Jo’An embarked her career in the world of secured lending with her previous roles in SME Banking at leading banks for this segment; UOB and OCBC. Her extensive job scope included commercial and industrial property financing, issuance of LC and business term loans.This has allowed her to confidently embrace the processes involved in the mortgage industry at Redbrick.